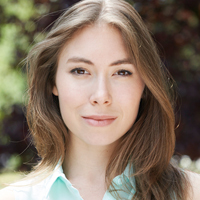 Tamara Rojo has created an ambitious programme. Featuring signature works of Pina Bausch, William Forsythe and Hans van Manen, it’s a triple bill designed for a strong, versatile company. 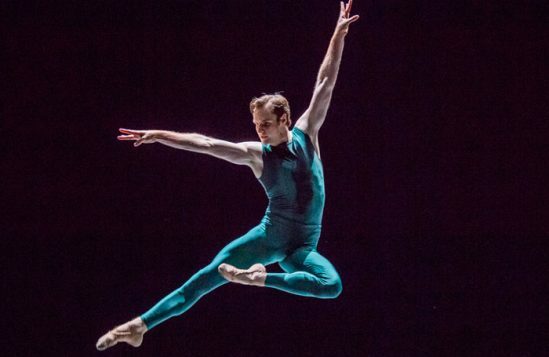 It opens with Forsythe’s In The Middle, Somewhat Elevated. Technically, it’s a challenging piece. Thom Willem’s aggressive, clashing score demands sharp, explosive movement, while Forsythe’s unforgiving choreography requires precision and control. For the most part the dancers meet that challenge, long limbs and clean placement showing that technically they’re capable. Yet they don’t’t always appear at ease and it’s only in the work’s solo moments that the dancers (most notably Crystal Costa and Cesar Corrales) push past its technical demands and find the powerful yet sinuous style that brings this work to life. In contrast, Adagio Hammerklavier is a study of elegance. Its gentle, unassuming air holds a timeless beauty that its three couples (including Rojo) capture to perfection. The considered unison of the opening soon relaxes into soft duets of pure, unadorned movement. The clarity of Manen’s choreography brings Beethoven’s quiet yet complex adagio to the fore, one moment catching at its undertones, the next the melody. The closing rush that is Pina Bausch’s Rite of Spring couldn’t be more different. Soil covers the stage, the women’s hair is loosely tied and soon dishevelled. To the company’s credit, they throw themselves into the driving rhythms of Stravinsky’s score, their hunched, heavy movements indicative of the fear and tension that runs through this work. ENB’s youngest company member, Francesca Velicu, becomes the ‘chosen one’ and she gives her soul to the role. In the thrashing attack of her movement you feel her anguish as she dances to her death. 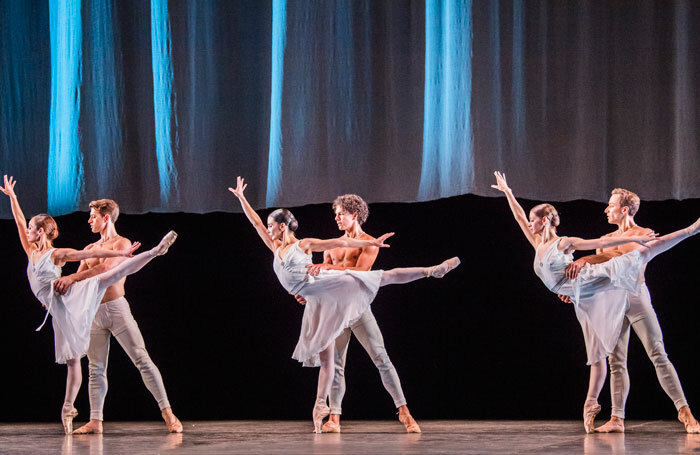 ENB may be a very different company of dancers from those on which the work was originally created, but their interpretation remains exhilarating and gripping in its own right.